Yes, this is a post about living dungeons… among other things, so please, bear with me. First of all, I’m working on my third entry on the Green Book – I finally came up with a workable (and hopeful interesting) concept for the Alala. I’m also preparing a small post about my campaign’s progress. No, I’m not writing an Actual Play. They’re boring (to read and to write). What I’m thinking to address here are some rules changes that originated from my group unanimous opinion on a lot of little things (like the ever infamous raise dead). But let’s go back to this post’s title. I finished reading Reaper’s Gale (the 7th Malazan Book of the Fallen) last weekend and found it a blast: the massive plot, though convoluted like everything else wrote by Erikson, was nonetheless engaging and it managed to transmit the idea that things are finally shaping up to a conclusion. A very different conclusion, given the series’ antagonist – the Crippled God – and the way the cosmology and its various characters interact with him. I still think that Erikson’s skill as a writer is overrated – other authors manage to be both more mythical (like Tolkien) and more dramatic (like Martin). Erikson’s scores of characters all come from two or three basic molds – from angsty and brooding to hilariously overenthusiastic, passing through some archetypical types (like the soldiers, mariners and sappers – ironically, my favorite characters). It’s interesting to note that Erikson seems to associate high intelligence with a heavy dose of cheerfulness and misdirection (as seen in characters like Kruppe, Iskaral Pust and Tehol). However, there’s one place where Erikson totally trumps any other writer: sheer scale. The entire Malazan cosmology is a herculean exercise in worldbuilding, a masterpiece of fictional construction that every Gamemaster should give a try. Besides, there are a lot of good ideas and concepts here. I’ll address just one of them (and from an incomplete perspective, as I have not read the last books). I should warn you that spoilers are in order. One recurrent idea of late (probably caused by the OSR) is the concept of living dungeons or mythical underworlds as serious setting elements (not just some gonzo background). Take, for example, the 13th Age – a recreation of D&D (mostly 4E mixed with narrative mechanics). 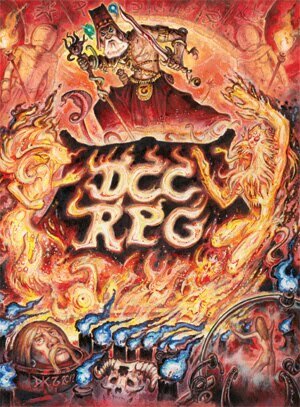 In this yet-to-be-released game, living dungeons are real and usually result from reality wracking experiments of the Archmage (the world’s most powerful arcanists), planar interferences and other eldritch phenomena. Traditionally, by using living dungeons, you’re banning realism – at least in the mind of most players. Living dungeons are sentient entities, an entire place that wants you dead and fights against you – they’re the ultimate excuses for those wacky rules of the original D&D of ’74, like doors locking up behind you and all monsters being able to see in the dark. After wall, why in the Nine Hells would dungeons behave like that? 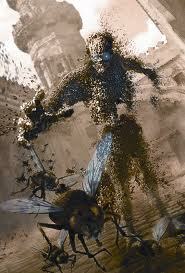 That’s were Erikson’s Malazan Book of the Fallen comes up with an amazing concept: the Azath. 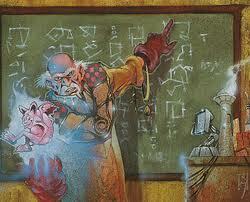 We don’t know exactly what are the Azath (at least the 7th book doesn’t say it), however we’ve plenty of hypotheses. Azath are strange buildings, towers, dungeons or houses that grow up spontaneously in certain locations. They appear to be made of some sort of stone or wood-like material, but are practically impregnable and impervious to damage (in the novels only one Azath die, but it takes centuries). Azath show up where massive manifestations of power occur. Their most common role is to spawn around a powerful entity (like a demon prince, an archangel or a potent archwizard) and trap it for eternity. The Azath seems to be the ultimate aspect of Balance (or Neutrality) – strange entities whose role is to trap and contain creatures who could tip the frail equilibrium of forces in the world. 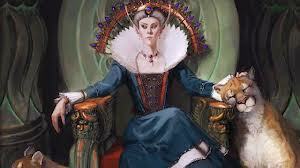 The Azath are also living things, which their own (unfathomable) agendas and even chosen servants. Cults develop around some Azath, with followers trying to commune with a particular living dungeon’s intent and desires. These cultists are usually True Neutral in Alignment (fanatically Neutral would be a better description). In the novels this is represented by the Nameless One, the mysterious cabal that serves “the will of the Azath”. Each Azath is sort of unique, developing its own local legends and histories. 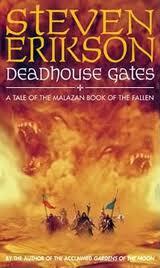 An example: the Azath on the Malaz Island is called the Deadhouse and has an entire city around it. It is hinted in the novels that those that managed to gain access to the Deadhouse (either by trickery, force or some pact) gain strange abilities – like prolonged life. Some creatures appear to be chosen by the Azath to act as their keepers or wardens - it is unclear if these individuals must remain within their Azath or can go out on missions. In other novels it’s speculated that the path to Ascendancy (godhood) may be found within the depths of an Azath – this is probably the most awesome and simple excuse for a dungeon crawl (coincidentally, it also reminds me of the Starstone and the Ascendant Court built around it in the Pathfinder campaign setting of Golarion). The Azath also are used as a sort of “safe haven” for powerful (or hunted) individuals that desire a safe (if dark) place to flee from gods, demon lords, mighty dragons and such. After all, if any entity of power comes within an Azath, it’s instantly trapped. And in the novels this usually means that the creature is grappled by powerful stone-like roots and buried alive, but the Gamemaster could concoct many other types of prison (like an ever changing labyrinth, being petrified alive, diminished in size etc.). 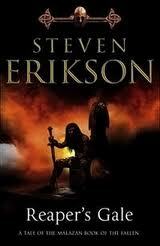 What Erikson did was to create an original and engaging mythology around the concept of living dungeons. One that’s easy to steal and employ in most campaign settings. It’s a much better excuse for a megadungeon than the usual “mad wizard’s playground” used by Gygax. The Azath can also provide a unique and bizarre patron for a group of players – imagine being servants of a living dungeon, tasked with hunting down (or attracting) powerful creatures to those eternal prisons. The first part is here, the second here. Midgard’s devotes an entire chapter to explain its Pantheons. Following the premise briefly mentioned in Kobold Quarterly and in sourcebooks like Zobeck, Midgard deities are described as mysterious, treacherous and ultimately furtive figures. While they do intervene in the mortal world (often in a very personal and local fashion), their goals are ineffable and often simply contradictory. One of the few things that mortals know for sure is that the gods hold steadfastly to their immortality’s secret. Maybe the original deities were just ancient druids, shamans or mystics that ascended, or killed an older pantheon, or learned eldritch secrets from the roots of the World Tree. Who knows? To murk the waters even further, Midgard’s gods are archetypical and are found of wearing “masks”, hiding their true identity (if there’s any) behind their roles. Even when one deity manages to kill, imprison or absorb a rival, it can keep wearing the victim’s mien. Thus, everything about the gods is mysterious, strange and dangerous. Because of such approach, Wolfgang manages to put back some mystery and a sense of wonder on D&D’s religion. All of it without changing the basic rules regarding divine classes and spellcasting. A very nice touch, one which I’m tempted to steal for other settings like Forgotten Realms or Greyhawk. Midgard introduces new domains (Beer, Clockwork, Hunger and Moon), a complete table of Domains for the most important deities/masks, another table with mysteries for Oracles and a small box explaining that Midgardian paladins use Divine Aspects (check it here). My favorite part are the rules for Pantheist Priests (who can change their granted domains, selecting a new one from the deities of his Pantheon). After that we get (more murky) details on the Pantheon, with information on the World Serpent, the Northern Gods (like Wotan or Thor), the Crossroad Gods of Zobeck (like Rava and Khors), the Dragon Deities of the Mharoti, the Southern Deities (Aten, Horus, Bastet etc. ), the City Gods and the Dark Deities (including devils and demon lords). There’s a lot here. Finally, we reach Midgard’s Appendices. 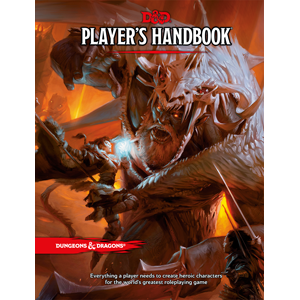 The first one is a pleasant surprise, with full conversion rules for running Midgard campaigns with the AGE System (from Dragon Age). The second Appendix is all about Encounter Tables for the regions previously described (I found them specially useful for populated areas). A short third Appendix lists recommended reading. The Norns are happy. Jormungand may sleep for another age. I waited a long time for this campaign setting, since reading the Zobeck Gazetteer for the first time and I must say that Wolfgang didn’t disappointed. Quite the contrary, he managed to keep (if not raise) the initial gambit. Midgard is an engaging, dark and original setting that easily mixes history with low and high fantasy (albeit with more the former). Midgard’s strength comes from the fact that it drinks deep from historical and mythological roots rarely explored by D&D or Pathfinder. Because of that, it has the selling point of being original, without being strange or otherworldly. 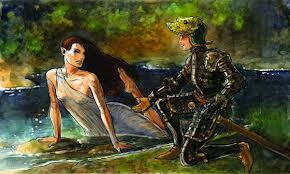 It also isn’t simply dark or low fantasy, much less the (severely abused genre of) high fantasy. By mixing less known historical and legendary themes with D&D tropes, Wolfgang gave us a new and twisted toy, worthy of classics like Forgotten Realms, Planescape and Birthright. The first major region described is the Crossroads, the “heart” of western Midgard, famous because of the Free-City of Zobeck. We get a full description of the Clockwork City, besides a color map. There’s also information on the various festivals and main roads of the region. This last bit is thoroughly described, with mention of the most common threats, costs of guards and transportation, companies (mercantile and mercenary), stats for river barges, details on trade fairs – there’s even a table with spring travel times! Other places described are the Cloudwall Mountains, the Empire of the Ghouls and the matriarchy of Perunalia. The Cloudwall Mountains, part of the borders of the undead nations of Morgau and Doresh, are so dangerous that some cities simply sent their criminal there; those that survive and leave the mountains are granted full pardon. The underground empire of the ghouls is pure Lovecraft. Perunalia is its own beast – a country ruled by a demigoddess, daughter of Perun (a.k.a. Thor), surrounded by enemies (like the Mharoti Sultanate) and famous for its amazons, archery skills and civilized society. It’s difficult to fit Perunalia in the usual fantasy archetypes seen in most campaign settings. The next stop is on the Ironcrag Cantons of the dwarves and in the Magdar Kingdoms. The Cantons are a quarrelsome group of small dwarven provinces, further divided in clans, only kept from each other throats by the outside world. They’re a loving mix of dwarven classic traits and novel stuff. The Magdar Kingdoms are Wolfgang’s fantasy version of Hungary (even with its own Black Army!). In other words: proud Horse-Lords, scheming noble houses, knightly orders and war wagons! We also get a description of the Order of the Undying Sun. Other major human realm is the Electoral Kingdom of Krakova. Like Madgar, it’s surrounded by enemies – undeads, reaver dwarves, hellish gnomes etc. Krakova seems to mix medieval German and Polony with fantasy elements, though its capital reminds me of Warhammer Fantasy’s Marienburg. After the two human realms, we delve in the undead demesnes of the Principalities of Morgau and Doresh. Imagine if Dracula openly ruled a country. This isn’t Ravenloft though. The next major region described is the Rothenian Plains. Wandering towns, Kariv gypsies, centaur hordes, savage elves, competing Khans and Baba Yaga are just some of its elements. A lovely place for adventures to visit. We have the silver dragon-founded kingdom of Domovogrod (which a really cool halfling culture); the Khanate of the Khazzaki, which hungers for the sweet treasures of Mharoti, Cathay and Khandiria; the (in)famous Demon Mountain (ruled by an evil and mysterious sorcerer! ); the devil-tainted cities of the gnomes of Neimhein; strange Vidim, the Kingdom of Ravens, a land of humans and huginn (tengu); besides details on the various centaur hordes, the Kariv wandering realm and windrunner (or dry grass) elves. Moving south, we finally get to see the Dragon Empire itself – the Mharoti Sultanate. What’s interesting about this hungry and behemoth nation is that it isn’t your “Land of the Evil Overlord”. Quite the contrary. The Sultanate isn’t evil at all (though some of its most powerful members are). It is actually an exotic and cosmopolitan realm, albeit an imperialist one, with its own interests and agendas. The Mharotian culture is filled with interesting twists, like the fact that scaled folk in general have a higher social status than other races (yeah, pay some respect to the local kobolds). The top of the Sultanate’s social pyramid are the Morza, the eight Great Dragon Lords that founded it. Before delving on each of the provinces, the author provides us with adventure seeds against the empire or for the empire, again proving that things are not so simple in Midgard in regard to alignments and clear villains. Of course, there’re exceptions. In this particular case the Despotate of the Ruby Sea. These are the true nasty bastards of Midgard. You’ll love to hate these guys. The most important point regarding the Despotate is that the Rubeshi are human. Not orcs, not yet another humanoid race… just old fashioned human greed and evil. Better than Nazis. The Despotate has all the “right” elements to be hated. They’re slavers and demon-binders, ruled by a tyrannical magus with enough eldritch lore to change its otherwise mundane armies in a mass of rolling berserkers dedicated to the feared White Goddess. Flawless. Moving on there is the Free City of Siwal, famous for its sand ships, desert folk, caravans and oasis kept by elemental magic. After Siwal, we get details on the ancient River Kingdom of Nuria Natal and its god-kings, so far holding the Mharoti juggernaut. The next location is the heavenly-touched but shattered realm of Ishadia, which places a really nice twist on the idea of an aasimar/half-celestial land. Because we’re talking about the Dragon Empire and surroundings there’s also information on bazaars: typical goods, animals, exotic stuff (did you know that aboleth brain is considered a delicacy by dragons? ), magical curiosities, local weapons and few things about dragon magic. The next major region described is the warmongering land of the Seven Cities – the famous human city-states that thrive over the ruins of the elven empire. Because we’re talking about war, there’s information on the standing army of each city, besides the most common causa belli. I really like the fact that Wolfgang dedicated a good amount of this chapter’s opening to explain how wars are fought, for what reasons, on which time of the year etc. Important topics like diplomacy (war diplomacy that is) and alliances are also addressed. After the great introduction we get full details in the Republic of Valera, the Grand Duchy of Illyria, the Green Duchy of Verrayne, the Theocracy of Kammae Straboli, the Barony of Capleon, the Canton of Melana, Friula the City of Secrets, the Republic of Trombei and Maritime Republic of Triolo, the Serene Island of Kyprion (minotaur land). The various cities (and Kyprion) are not just not-Italy (or not-Crete/Greece), but have nice twists and D&Disms inserted to be fun and engaging to explore. The final regions described are the Wasted West, the Domains of the Princes and the Northlands. The Wasted West is all that remains of the mutually-annihilated human magocracies. This is Midgard’s magic post-apocalyptic wastelands dashed with a Cthulhian flavor. Vast and bizarre deserts and terrains, filled with ruins, wild magic, dust goblin caravans, a giant realm, lone pilgrims, daring merchants, infernal-tainted spellcasters and Old Ones. This last bit is probably the Wasted West’s most iconic aspect: the non-Euclidian things summoned during the height of the Great Mage Wars couldn’t be simply banished back, so they’re still around. You have gargantuan and alien monstrosities – each unique – wandering around, bound to the wastes (and yes, they show up on the maps!). The region is not only death and gloom, as we have remnant human realms and cities, famous locations (like the seat of the god of war), and even surviving magocracies (ready to start another eldritch Armageddon). Next nation: Dornig, Domains of the Princes, see itself as the last bastion of true elven power over the human masses (and in fact a rare pure-blood elven Queen rules it from the Copper Sphinx Throne). Imagine if the Holy Roman Empire was run by an Elven Imperatrix, who would outlive all her half-human children and forge bonds (through marriage and political adoption) with practically every powerful human noble house of the region. That’s Dornig – a true hotbed of intrigue. I loved the fact that Wolfgang managed to pass the chaotic feel that I usually get from reading the convoluted history of our own Holy Roman Empire (and spicing it up whit D&D elements). There are details on the itinerant Imperial Court, the fey roads employed by the Imperatrix, the most relevant kingdoms or cities, minor houses and even advice on granting noble titles (and lands) to player characters (including an awesome new incantation for fealty vows). Finally, there’s information on the old elven enclaves and forests. The Northlands were already (superbly) described in a homonymous sourcebook by Open Design. Vikings, reaver dwarves, giants & trolls, lycanthrope kingdoms, Hyperborea… what more can one ask for? Other summarized topics are northern traditions, status, short information on grudge and rune magic etc. Next (and final!) part of this Augury: The Gods, their Masks and the AGE System. 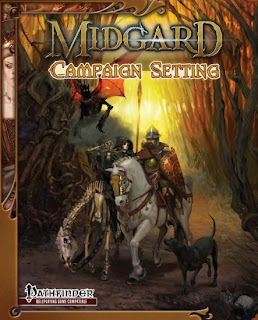 Finally, the dark and twisted roads to Open Design’s (now Kobold Press) Midgard Campaign Setting are open! So far we have seen only glimpses of this world, mostly through adventures, mini-supplements and those wonderful one-page articles of Kobold Quarterly. Midgard’s allure (for me) comes from the way Wolfgang Baur mixes Eastern European and Nordic legends with the D&D legendarium – it reads as a classic (or historic game), but also as something fresh. The only other setting that comes to mind with a similar flavor/approach is Birthright. After a stunning cover, we’re introduced to Midgard’s premises. While I enjoyed its strong “fairy” take on elves and the way dragons intervene on the world, I was especially pleased to see the metagame element of ‘Time Flies, and Status Matters’. Midgard is not your usual ‘Points of Light’ setting – here adventures get old and also get famous, with all its benefits and complications. I really like this approach. The midgardian view of Gods is also intriguing, but let’s leave that for later. We get a description of Midgard’s creation through the Nordic point of view, followed by more “recent” events like creation of the Dwarves (the firstborn), the ascension and sinking of Ankeshel (that’s Atlantis for you, with all the cool deliriums of Erich von Daniken and Victorian stuff), the coming of the Elves and their dominion over the world of the Humans. Things eventually get messy when those Humans start to abuse magic (especially its dark aspects). The Elves are eventually forced to leave the world, either to fix the Humans’ damage on Midgard borders or just to get as far away as possible of the taint brought to the world. Eventually the various Human magocracies annihilate each other in a classic magic Armageddon. In the power vacuum that follows a circle of dragons make a pact with Humans of the East, creating the Mharoti Sultanate, a vast empire that start conquering surrounding lands with avarice, to properly pay the tithes and tributes of its dragon overlords (imagine the Ottomans, but twice as dangerous and with dragons, that’s the Mharoti). Oh, and I not even mentioned other devious tidbits like, for example, the gnomes of Neimheim. The next topic is time, planes and the stars. Midgard has one big traditional-looking moon, and seven smaller ones, called Mage’s Stars. Theirs is a description of the five (or six) planets seen on the sky, their names and common (symbolical and mystical) associations. There aren’t fixed truths on Midgard, thus we get legends and mythological explanations for the Heavens (remember, the world is flat!) – the explanation for what (or “who”) are the stars is my favorite part (and an instant hook for lots of adventures). There’re also mechanics for Ley Lines, which are really simple and easy to use/steal (the fact that they use random tables is a bonus). One thing that I must point out by now is that all the information above is given through short texts. 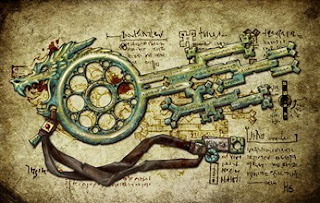 There aren’t tons of minutiae, historical observations and setting extravaganza to read – the author never forgets that this is a game book, not a novel or world-building exercise. Humans get the first description and I must say that the Midgardian races of Men are a corruptible, greedy and unpredictable lot (which oddly gives them a nice flavor and charisma). Here we’re also introduced to the idea of Status, a new game trait that reflects your social position. Status can be rolled or bought (with points used to buy Ability Scores). Your race and class modify your Status (interestingly Dwarves and Elves have higher base Status than Humans). In fact, the relation between the various races (particularly older ones as Elves) and Humans is very interesting. The next race is the Dragonkin, Midgard’s “solution” to the Dragonborn. They’re a younger race, previously unknown to the world and serve – for all senses – as the equivalent of Janissaries (or Mamluks) of the Mharoti Sultanate. It’s hinted that they’re actually a(n) (artificial) half-race. Midgardian Dwarves are divided in three major cultures: Northern dwarves (our classic mythological fellows), Ironcrag dwarves (a little bit of Tolkien, with more tech and a lot of Swiss Mercenaries attitude) and the fascinating Southern dwarves (think Egyptian Dwarves). Midgardian Elves are really rare, with most of their race living in the (otherworldly?) western Elflands. Only three small cultures remain, one of them still ruling over their Human subjects at Dornig. Because of their rarity, half-elves get more attention and there’s even the option of playing with one of the so called Elfmarked (humans with elven blood, but not enough to be considered half-elves). By now a trait that clearly distinguish Midgard from other settings is its more brutal (or “realistic”) history. Dwarves and Elves are not the advanced, courteous and isolationist Elder Races that we’re used to. Northern dwarves raid humans and take slaves, while Elves practically controlled the entire human western civilization at a certain point of Midgard’s history. The next race are the Gearforged, Midgard’s take on the Warforged. These clockwork heroes are well-known by Zobeck fans and have a very distinct flavor – all Gearforged were once living creatures whose souls were transferred to mechanical bodies. The mechanics (no pun intended) behind these constructs and the incantation used to create them are also provided. They’re an amazing addition to Midgard and also provide cool roleplay opportunities. Finally, it’s time for everyone’s favorite race: Kobolds. Midgard holds the eternal merit of making Kobolds cool. Go read the Zobeck Gazetteer, these little fellows are awesome. The last entry among the major races is the Minotaurs. They’re based on the Minoan civilization and thus are good sailors. Although I have nothing against Minotaurs, they’re the one race that stands a little bit “off” the Midgardian milieu. I’m not sure if we need another race of sailing bull-folk. Moving ahead we get a short mention on the lesser races: Halflings, Gnolls, Centaurs, Gnomes, Goblins, Tengu (a surprise! and one which a nice flavor) and Tieflings. There aren’t any stats here, just one paragraph for each race. After a cool list of Midgardian Languages (I loved the mechanical bonus granted by Ankeshelian), we’re presented to new Feats and Character Traits, all tied to some region of the campaign setting. Next part of this Augury: The Crosswords and other exciting regions of Midgard! You have a deeper connection to your arcane mentor than most wizards. You mentor always knows where you are and has direct connection with you for the effect of spells like scry. He probably also has a weak telepathic connection with you. However, this rapport is hard to sustain, so don’t expect your mentor to lose his time chatting with you. He’ll probably only search one of his many pupils for truly important errands. At 1st level you gain 2 benefits – Sage Counsel and Mentor's Librorium. Sage Counsel (Su): 1/day you can take 20 on one Knowledge skill check (even if untrained) after 10 minutes of trance with your mentor. This leaves you Fatigued. Mentor's Librorium (Ex): you gain three new spells per level instead of two. At 3rd level you gain Never Alone. Never Alone (Su): 1/day, one round after suffering a mind-effect, you can reroll a new Will save as your mentor attempts to help you. At 5th level you gain Eldritch Training. Eldritch Training: you mentor's training is hard but rewarding. 1/day you can change one of your Metamagic Feats. You must meet all the prerequisites for the new feat and it remains available to you for the next 24 hours. Eldritch Training requires one hour of meditation and communing with your mentor, leaves you Fatigued and costs one of your highest spell slots. At 9th level you gain Archmage’s Reach. Archmage’s Reach: 1/day your mentor can directly assist you. When casting a spell, your mentor casts simultaneously cast a second random spell. This dweomer is one level lower than the main spell. The Gamemaster should roll this spell on the Core Rulebook List (if totally inappropriate/useless to the situation choose the next entry and so on). Spells with expensive material components can’t be used. If no spell of that particular level applies, choose a lower level spells. This channeling is vexing and leaves your Fatigued.